​Leicester City manager Claude Puel is facing a battle to keep his job following a meeting with officials at the club regarding recent results, with Jamie Vardy voicing his frustration over the club's style of play. The Foxes have earned just one win from their last six Premier League games, a run which has seen them fall to 12th in the table. They are now just ten points above the relegation zone, and were recently eliminated from the EFL Cup on penalties by holders Manchester City. 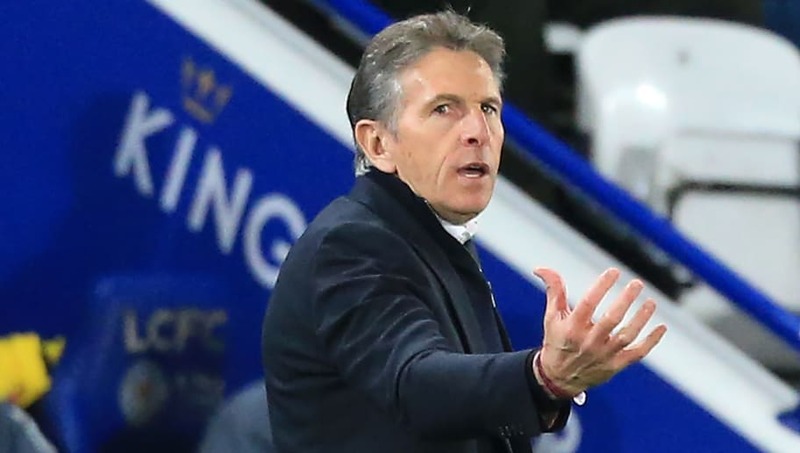 As a result, ​The Sun report that Puel has held talks with chiefs at the club in what's being described as a 'crisis meeting' regarding their recent form, with the Frenchman ordered to improve Leicester's results quickly, otherwise he runs the risk of getting sacked. That's easier said than done for Puel however, with his team set to face Chelsea and City in their next two games, before games against Cardiff and Everton round off their Christmas schedule. admitting he's trying to adapt to how the manager wants him to play. Jamie Vardy admits Leicester’s style of play under Claude Puel does not suit him - but the forward has vowed to do what he can to adapt to the Frenchman’s methods. Asked whether he suited Puel's possession style of play by ​Sky Sports, the striker replied: "Does it? No, but is that down to me to adapt to it? Yes. "And obviously the only way I'm going to do that and keep progressing is working hard on the training field. "It does get a bit frustrating but we are transitioning into a different style of play. I think we've just got to keep working hard on it and eventually it will get us going forward that bit quicker because when we get into attacking positions eventually the ball will get picked out for some of my runs." Should Leicester part with Puel, the club have identified a potential successor for him, with ​The Telegraph reporting that Celtic's Brendan Rodgers is their top target.